Went on a lovely day out with my boyfriend, consisted of him having a massive platter of food in Old Orleans in Cardiff, then a trip down the bay. 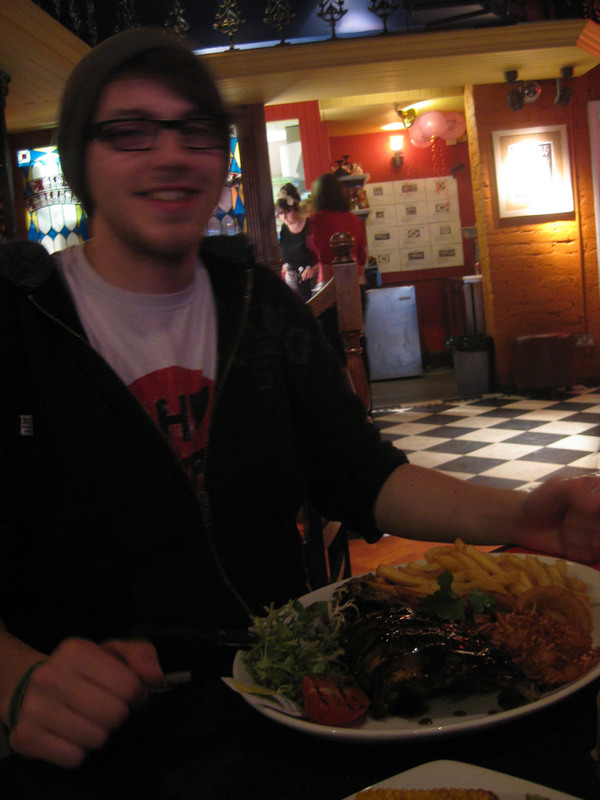 Here’s a low quality, quick photo, but look at the food! Ribs, steak, chicked, prawns, chips and a salad!